The Nassau County Department of Public Works (DPW) has 22,000 tons of road salt and 2,250 tons of road sand on hand. DPW’s snow fighting fleet includes 115 plow/salt trucks, 20 pick-ups with plows and sanders, 10 payloaders and 3 brine trucks that cover 2,000 lane miles throughout the County. With the assistance of GPS, DPW supervisors monitor snowplows to determine when plows are down and where trucks are operating in order to ensure we are working at full capacity to make the roads safer for our residents as quickly and efficiently as possible, while also safeguarding the safety of our snow fighting crew. - Do not plow snow across the road or shovel snow from your driveway onto shoulders or roadways. - Do not pile snow high near intersections or driveways obstructing others’ vision; Park vehicles away from the road and follow local parking ordinances related to snow removal. - Keep rocks, timbers, fences, basketball hoops, garbage bins, reflectors and other items away from the road. - Keep areas around mailboxes clear in order to assist in safe mail delivery and to help prevent damage to mailboxes. - Maintaining the end of your driveway could decrease chances of getting plowed in, or having your mailbox damaged. 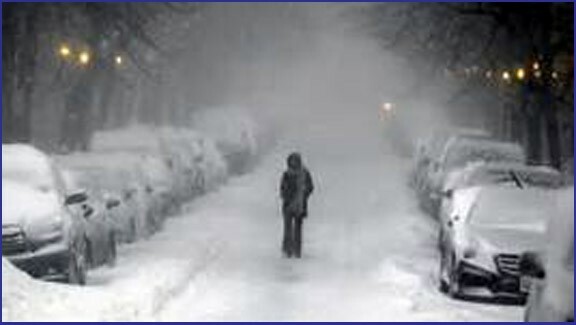 - Keep sidewalks and pathways clear for pedestrians. - Never build snow forts, make tunnels, or play in ditches or snow banks by the road. - Stay away from the edge of the roadway as you wait for the school bus, get the mail, or watch the snow plow. - Stay away from the end of a driveway when a snow plow is approaching. - Keep sleds and toys away from the roadways at all times. - Remember, the plow driver can’t always see you. - Drivers should use extra precautions on the roads this winter season, especially when driving near trucks that are plowing and salting. - Always wear your seatbelt and allow extra time to reach your destination. - Do your best to minimize distractions so your focus can be on driving. - Don’t attempt to pass a snow plow vehicle while they are plowing. - NEVER attempt to pass a snow plow on the right. Many plows are equipped with wings that weigh as much as a small compact car. - Plows can suddenly move sideways from hitting drifts or by cutting through packed snow. - Plow drivers have limited visibility and they cannot see directly behind their trucks. - Avoid sudden starts, stops and turns. Accelerate carefully so car wheels don't spin. - Improve visibility by clearing all snow and ice from the entire car – hood, roof, trunk, turn signals, tail lights, headlights, windows, mirrors and fender wells. - Driving with headlights on low-beam provides better road illumination in snow and fog than using high-beams. - Learn your community’s warning signals. - Meet with your family to create a plan. Pick two places to meet: a spot outside your home for an emergency such as fire, and a place away from your neighborhood in case you cannot return home (a real possibility during the day when adults are at work and children are at school). Choose an out-of-area friend as your family check-in contact for everyone to call if the family becomes separated. - Implement your plan. Post emergency telephone numbers by the phones. Install safety features in your house such as smoke detectors and fire extinguishers. - Inspect your home for potential hazards and correct them. - Have your family learn basic safety and first aid measures. Make sure everyone knows how and when to call 9-1-1 or your local emergency medical services phone number. - Have disaster supplies on hand. - Winter has arrived and you should stockpile the following supplies in the event a winter storm or power outage prevents you from leaving your home. - Flashlights and extra batteries. - Battery-operated radio and extra batteries. - Emergency non-perishable foods that do not require refrigeration. - One week supply of essential medicines. - Extra blankets and sleeping bags. - First aid kit and manual. - Emergency heating equipment, used properly. Important Reminder – if you have a fire hydrant on your property, please dig out the snow around it to help our first responders in in case of a fire. Please call 516-573 9638 if you need assistance in a NON-Emergency situation. ALWAYS dial 9-1-1 in an emergency. LEGISLATOR MACKENZIE WANTS TO HELP YOU AVOID BECOMING A VICTIM OF IDENTITY THEFT! AN IMPORTANT SAFETY UPDATE FROM LEGISLATOR MACKENZIE: HURRICANE SEASON IS HERE! MacKenzie & The Nassau County Department of Consumer Affairs Warn Residents: Be Aware of these Scam! LEGISLATOR MacKENZIE HONORS OYSTER BAY FIRE CO. #1’S OUTGOING–CHIEF JOHN R. BRUCKNER, JR.